Abd El Rahman Yahya is a producer at ARIJ network. He holds a bachelor’s degree in arts and mass communications from Ain Shams University, Egypt. 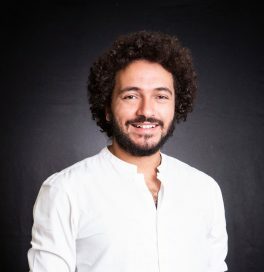 With an extensive background in directing and producing, Yahya’s portfolio includes holding the role of producer on the well-known television program Momken, With Khairy Ramadan, which aired on CBC Egypt, executive directing the television program The Abla Fahita Show, and co-founding a television investigation unit, Lazem Nefham, for which he produced a myriad of features and in-depth reports, progressing to being named head producer for the entirety of this investigative unit, which put out daily and weekly content.